Are you "inviting" an IRS Audit? Small businesses often fall victim to tax errors because they don't have enough human resources or internal expertise to be certain tax filings will be handled correctly. The first mistake is not keeping adequate records. 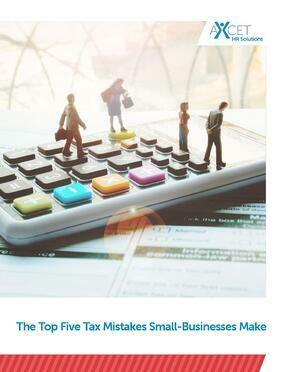 Learn more about this and the other four tax mistakes. Protect yourself. Get the details in this report.